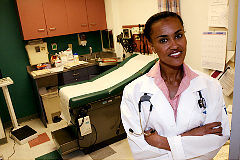 1) Yesterday (2/7/08) was Black HIV/AIDS Awareness Day! Check out www.blackaidsday.org to learn more. 2) HIV testing is part of routine health care. 4) Over half of new HIV infections are a result of the 25% of people who do not know their status. 6) The most common presenting symptom of an STI is no symptom. 7) Do you know your partner’s status? Ask today. 10) Make a doctor’s appointment today. 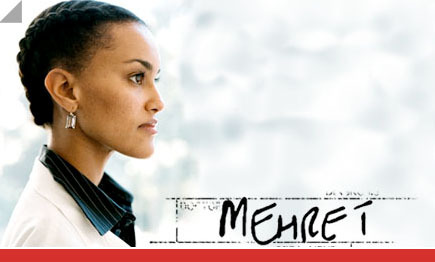 Dr. Mehret Mandefro is Founding Director of TruthAIDS (www.truthaids.org), a physician, public health practitioner and advocate who has worked with HIV infected and affected communities in Botswana, South Africa, and Ethiopia on issues of: access to treatment, stigma, health care worker educational training and community based public health education efforts. Mehret recently completed her internal medicine Primary Care residency at Montefiore Hospital, in the South Bronx, and is now a Robert Wood Johnson Health and Society Scholar at the University of Pennsylvania. Her work is the subject of a feature-length documentary that explores the heterosexual transmission of HIV in the African Diaspora and is scheduled for upcoming independent film release. She received her BA and medical degree from Harvard University and her Masters of Science in the Public Health of Developing Countries from the London School of Hygiene and Tropical Medicine as a Fulbright Scholar.